Steel Barbed Wire is extensively used in protection of grass boundary, railway, highway, etc. We are offering Steel Barbed Wire to customers all over India. Our Steel Barbed Wire is produced from using high grade steel and is galvanized to protect it from corrosion. 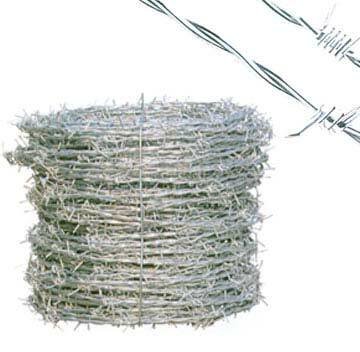 We are a renowned Manufacturer and Supplier of Steel Barbed Wire in Tamil Nadu (India). We can customize length and width of our barbed wire as per the customer’s requirements.